General Information Regarding These Master Terms of Service (“Master Service Terms”). Provision of the Services and Products Generally. Location of the Services and Products. Terms Relating to Content of the Services and Products. Participating in Our E-commerce; Purchasing Services or Products. Indemnification for Breach of Terms of Service. Copyright and Creative Commons License. 1. General Information Regarding These Master Terms of Service (“Master Service Terms”). Please read these terms carefully because they apply to your purchase of any of the Available Services and a purchase of any Products Offered; that fromhomedental.com presents and makes available to you (collectively, the “Services” and “Products” to which these terms apply). fromhomedental.com, a Texas Entity, United States of America. In addition, your use of any Service or Product may also be subject to the terms of any legal notice applicable to the Service or Product, in addition to the Master Service Terms. All such terms supplementing these Master Service Terms are referred to below as the “Additional Terms.” Where Additional Terms apply to a Service or Product, these will be accessible for you to read either within, or through your use of, that Service or Product. The Master Service Terms, together with any Additional Terms, form a binding legal agreement between you and fromhomedental.com in relation to your use of the Service or Product. Collectively, this legal agreement is referred to below as the “Terms.” If there is any contradiction between the Additional Terms and the Master Service Terms, then the Additional Terms shall take precedence in relation to the Service or Product to which the Additional Terms apply. YOUR PURCHASE OR USE OF ANY SERVICE OR PRODUCT IN ANY WAY SIGNIFIES THAT YOU HAVE READ, UNDERSTAND AND AGREE TO BE BOUND BY THE TERMS. By purchasing or using any Service or Product you also represent that you have the legal authority to accept the Terms on behalf of yourself and any party you represent in connection with your use of any Service or Product. If you do not agree to the Terms, you are not authorized to use any Service or Product. From time to time, fromhomedental.com may change, remove, add to (including without limitation by way of Additional Terms) or otherwise modify the Terms, and reserves the right to do so in its discretion. In that case, we will post the updated Master Service Terms or Additional Terms, as relevant, to the applicable Service or Product(s) and indicate the date of revision. We encourage you to periodically review the Terms. In addition, if our modifications are material, we will make commercially reasonable efforts to notify you electronically. For example, we may send a message to your email address, if we have one on file, or we may display a notice on the Websites indicating that the Terms have changed. All new and/or amended Terms take effect immediately; provided, however, that if deemed material by fromhomedental.com in its sole discretion such new and/or additional material terms will be marked as such and will take effect 30 days after they are posted on the applicable Website. Notwithstanding the foregoing, (i) no modification to the Terms will apply to any dispute between you and fromhomedental.com that arose prior to the effective date of any modification and (ii) if you do not agree with any modification to the Terms, you may terminate this agreement by ceasing use of the Services and Products. Your continued use of any Service or Product after new and/or revised Terms are effective indicates that you have read, understood and agreed to those Terms. 4. Provision of the Services and Products Generally. fromhomedental.com makes the Services and Products available to you on the Terms. You may only use the Services and Products in accordance with these Master Service Terms and any applicable Additional Terms. In particular but without limitation, you may not use the Services and Products for any purpose that is unlawful or prohibited by these Master Service Terms, any applicable Additional Terms, or any other conditions or notices that are made available on any Service or Product. The language and text of fromhomedental.com Services and Products are in English (USA). Translation into any language by any means is not warranted for correctness in any manner. 6. Location of the Services and Products. The Services and Products are controlled and offered by fromhomedental.com from its affiliated facilities in the United States of America and the United Kingdom. fromhomedental.com makes no representations that the Services or Products are appropriate or available for use in other locations. If you are accessing or using any Website or Service from other jurisdictions, you do so at your own risk and you are responsible for compliance with local law. Notwithstanding the foregoing, the Services and Products may contain or provide links to Content (defined in Section 8, below) hosted on infrastructure (servers and websites) located outside of the United States of America. 8. Terms Relating to Content of the Services and Products. A. Responsibility for Content. You understand that all material, data and information, such as data files, written text, templates, computer software, music, audio files or other sounds, photographs, videos or other images (collectively, “Content”) which you may have access to as part of, or through your use of, the Services and Products are provided ‘as is.’ You acknowledge that fromhomedental.com does not make any representations or warranties about the Content, including without limitation, about the accuracy, integrity or quality of the Content made available at the instigation of users of the Services and Products. Under no circumstances is fromhomedental.com liable in any way for any Content, including, but not limited to: any infringing Content, any errors or omissions in Content, or for any loss or damage of any kind incurred as a result of the use of any Content contained within, posted, transmitted to, linked to or otherwise accessible or made available via the Services and Products. i. fromhomedental.com: All Content (other than computer software) owned by fromhomedental.com and made available by fromhomedental.com from the Products or through the Services is licensed under a Creative Commons 3.0 US Attribution, Non-Commercial, No Derivatives license, unless marked otherwise. ii. Third Party Content: Third Party Content and Third Party Websites (as defined in Section 9, below) that fromhomedental.com Services or Products links to or embeds in the Services and Products, including but not limited to blogs and news feeds, are subject to the license terms accompanying such Content. For Third Party Content and Third Party Websites that fromhomedental.com supplies, as a courtesy fromhomedental.com will take reasonable steps to clearly mark any such Third Party Content or Third Party Websites that are not licensed; provided, however, that fromhomedental.com cannot and does not make any guarantee or warranty whatsoever about the license terms of Third Party Content or Third Party Websites and provides all such information AS-IS. We encourage you to always verify the license of any such Content before use. iii. Use of Content from the Services or Products. You may use the Content provided by the Services or Products in accordance with the terms of the license applicable to that Content. For the avoidance of doubt, you must attribute all Content (except public domain Content) in the manner specified by the author or licensor (including attribution to any designated Attribution Party) and in accordance with the terms of such license and you must not remove or alter any copyright, trademark, name or other notice or legend that appears in connection with the Content. 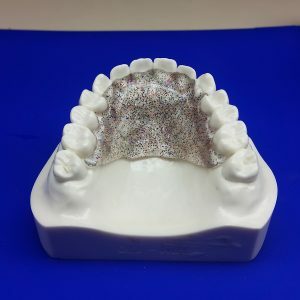 You represent and warrant to fromhomedental.com that you will use any and all Content from the Services or Products in accordance with the applicable license. You should be sure to review the terms of that license before you use the Content to which it applies so that you know what you can and cannot do. By using the Services or Products, you agree that you are solely responsible for your use of any and all Content made available thereon. You agree that you must evaluate, and bear all risks associated with, the use of any Content, including any reliance on the provenance, ownership, accuracy, completeness, or reliability of such Content. In this regard, you acknowledge that you may not rely on any Content made available by the Services or Products without your own independent evaluation of that Content. fromhomedental.com does not guarantee that Content made available by the Services or Products does not infringe the rights of any third party. The Services or Products may contain links to websites not controlled by fromhomedental.com (“Third Party Websites”), as well as Content belonging to or originating from persons or organizations other than fromhomedental.com (“Third Party Content”). You acknowledge that fromhomedental.com is not responsible or liable for any Third Party Websites or any Third Party Content, information or products made available at any Third Party Website. You further acknowledge that fromhomedental.com (a) is not responsible or liable for any Third Party Websites or any Third Party Content, information or products made available at any Third Party Website; (b) has not reviewed any Third Party Websites or Third Party Content for accuracy, appropriateness, completeness or non-infringement; and (c) makes no representations or warranties whatsoever about any Third Party Websites or Third Party Content. 10. Participating in Our E-commerce; Purchasing Services or Products. Only persons who are over the age of majority in their jurisdiction (which typically is 18, but may be different in your jurisdiction) and fully competent to enter into the terms, conditions, obligations, affirmations, representations and warranties set forth in the Terms and to abide by and comply with the Terms may enter into and complete the purchase process for Services or Products; provided, however, that if you are under the age of majority in your jurisdiction but over 13 years of age, you may enter into and complete the purchase process with the express permission of your parent or legal guardian. Any attempt to enter into and complete the purchase process by anyone (1) under the age of 13 or (2) under the age of majority in their jurisdiction but without parental or guardian permission, is unauthorized, unlicensed and a violation of these Master Service Terms. By entering into and completing the purchase process for any Service or Product, you represent and warrant that you (1) are the age of majority in your jurisdiction or, (2) are over the age of 13 and have the express permission of a legal guardian to enter into and complete the purchase process for Services or Products, and you further agree to abide by all of the terms and conditions of these Master Service Terms and any applicable Additional Terms. No Membership in fromhomedental.com. As used in these Master Service Terms, “Purchaser” means a person who has entered into and completed a purchase of any Services or Products. Purchasing or using any of the Services or Products does not and shall not be deemed to make you a member, shareholder or affiliate of fromhomedental.com for any purposes whatsoever, nor shall you have any of the rights of statutory members. Purchasing; Security for You. You agree to (a) provide accurate, current and complete information about you, if and as may be prompted by the purchasing process of our E-commerce solution; (which includes a secure payment mechanism and an optional customer/purchaser registration); (b) maintain the security of your information and identification, (c) maintain and promptly update your information and any other information you optionally provide to fromhomedental.com, and to keep it accurate and complete to, among other things, allow us to contact you. It is your responsibility to ensure that fromhomedental.com has up-to-date contact information for you. You may not make a purchase on behalf of another individual or entity unless you are authorized to do so. Purchasing; Security for fromhomedental.com. For our E-commerce solution, we partner with Mals-e.com and PayPal.com, leaders in on-line store presentation, shopping cart technology, and payment processing. Our solution is hosted on their servers in their protected data center environment. We do not collect nor store customer/purchaser payment information. We may collect and securely store optionally provided customer/purchaser registration information. In addition, doityourselfdentalimpressionkit.com reserves the right to delete and purge any optionally provided customer/purchaser registration information, as may be determined by fromhomedental.com in its complete discretion. Services and Products offered are provided subject to these Master Service Terms and any Additional Terms specified for the relevant Service or Product. fromhomedental.com reserves the right to modify or discontinue the Services or Products at any time. fromhomedental.com disclaims any and all liability to purchasers and third parties in the event fromhomedental.com exercises its right to modify or discontinue any Services or Products. TO THE FULLEST EXTENT PERMITTED BY THE APPLICABLE LAW, fromhomedental.com OFFERS THE SERVICES AND PRODUCTS AS-IS AND MAKES NO REPRESENTATIONS OR WARRANTIES OF ANY KIND CONCERNING THE SERVICES OR PRODUCTS, EXPRESS, IMPLIED, STATUTORY OR OTHERWISE, INCLUDING, WITHOUT LIMITATION, WARRANTIES OF TITLE, MERCHANTABILITY, FITNESS FOR A PARTICULAR PURPOSE, OR NONINFRINGEMENT. fromhomedental.com DOES NOT WARRANT THAT THE FUNCTIONS OR CONTENT PROVIDED BY THE SERVICES OR PRODUCTS WILL BE ERROR-FREE, THAT DEFECTS WILL BE CORRECTED, OR THAT PRODUCTS ARE FREE OF VIRUSES OR OTHER HARMFUL ITEMS. fromhomedental.com DOES NOT WARRANT OR MAKE ANY REPRESENTATION REGARDING USE OR THE RESULT OF USE OF THE CONTENT IN TERMS OF ACCURACY, RELIABILITY, OR OTHERWISE. EXCEPT TO THE EXTENT REQUIRED BY APPLICABLE LAW AND THEN ONLY TO THAT EXTENT, IN NO EVENT WILL fromhomedental.com, ITS EMPLOYEES, MEMBERS, OFFICERS, DIRECTORS, AFFILIATES OR AGENTS (“THE fromhomedental.com PARTIES”) BE LIABLE TO YOU ON ANY LEGAL THEORY FOR ANY INCIDENTAL, DIRECT, INDIRECT, PUNITIVE, ACTUAL, CONSEQUENTIAL, SPECIAL, EXEMPLARY OR OTHER DAMAGES, INCLUDING WITHOUT LIMITATION, LOSS OF REVENUE OR INCOME, LOST PROFITS, PAIN, AND SUFFERING, EMOTIONAL DISTRESS, COST OF SUBSTITUTE GOODS OR SERVICES, OR SIMILAR DAMAGES SUFFERED OR INCURRED BY YOU OR ANY THIRD PARTY THAT ARISES IN CONNECTION WITH THE SERVICES OR PRODUCTS (OR THE TERMINATION THEREOF FOR ANY REASON), EVEN IF THE fromhomedental.com PARTIES HAVE BEEN ADVISED OF THE POSSIBILITY OF SUCH DAMAGES. THE fromhomedental.com PARTIES SHALL NOT BE RESPONSIBLE OR LIABLE WHATSOEVER IN ANY MANNER FOR ANY CONTENT PROVIDED BY THE SERVICES OR PRODUCTS INCLUDING CLAIMS OF INFRINGEMENT RELATING TO CONTENT PROVIDED BY THE SERVICES OR PRODUCTS, FOR YOUR USE OF THE SERVICES AND PRODUCTS, OR FOR THE CONDUCT OF THIRD PARTIES WHETHER USING THE SERVICES OR PRODUCTS, IN CONNECTION WITH THE SERVICES OR PRODUCTS OR OTHERWISE RELATING TO THE SERVICES OR PRODUCTS. 13. Indemnification for Breach of Terms of Service. You agree to indemnify and hold harmless the fromhomedental.com Parties (defined above) from and against any and all loss, expenses, damages, and costs, including without limitation reasonable attorney’s fees, resulting, whether directly or indirectly, from your violation of the Terms. You also agree to indemnify and hold harmless the fromhomedental.com Parties from and against any and all claims brought by third parties arising out of your use of any of the Services or Products and the Content you make available via any of the Services or Products by any means, including without limitation through a presentation, a posting, a link, reference to Content, or otherwise. The Services and Products may contain trademarks, service marks, logos and other names that are the property of fromhomedental.com or such other party as indicated with respect to that name or icon. The Trademark Policy is incorporated by reference into these Master Service Terms. 16. Copyright and Creative Commons License. The Services and Products may contain copyrights that are the property of fromhomedental.com, All Rights Reserved, or such other party as indicated with respect to that name or icon. A Creative Commons License 3.0 US Attribution, Non-Commercial, No Derivatives is maintained. The Copyright and Creative Commons License Policy is incorporated by reference into these Master Service Terms. These Master Service Terms and any Additional Terms will continue to apply until terminated by either you or fromhomedental.com as set out below. Your right to use the Services and Products terminates automatically upon your breach of any of these Master Service Terms or Additional Terms that may apply to any of the Services or Products. fromhomedental.com may, at any time: (a) modify, suspend or terminate the access to any of the Services or Products, or any portion of the Services or Products, for any reason; (b) modify or change the Services or Products, or any portion of the Services or Products, and any Master Service Terms, Additional Terms and other policies governing the use of the Services or Products, for any reason; (c) interrupt the completion or delivery of the Services or Products, or any portion of the Services or Products, for any reason, all as fromhomedental.com deems appropriate in its sole discretion. Your access to, and use of, the Services or Products may be terminated by you or by fromhomedental.com at any time and for any reason. fromhomedental.com will use reasonable efforts to notify you in advance about any material modification, suspension or termination by fromhomedental.com that is not caused by your breach of the Terms. These Master Service Terms and any Additional Terms are governed by and construed by the laws of the State of Texas, in the United States, exclusive of its choice of law rules. The parties agree that any disputes or proceedings between fromhomedental.com and you concerning these Master Service Terms, any Additional Terms, and/or any of the Services or Products shall be brought in a federal or state court of competent jurisdiction sitting in the Northern District of Texas, and hereby consent to the personal jurisdiction and venue of such court. Either party’s failure to insist on or enforce strict performance of any of the Terms shall not be construed as a waiver of any provision or right. If any term or part of the Terms is held to be invalid or unenforceable by any law or regulation or final determination of a competent court or tribunal, that provision will be deemed severable and will not affect the validity and enforceability of any remaining provisions. The parties agree that no membership, joint venture, partnership, employment, or agency relationship exists between you and fromhomedental.com as a result of these Master Service Terms, any Additional Terms, or your use of any of the Services or Products. These Master Service Terms and any applicable Additional Terms constitute the entire agreement between you and fromhomedental.com relating to this subject matter and supersede all prior, contemporaneous and future communications (with the exception of future amendments to the Terms as made available by fromhomedental.com from time to time) between you and fromhomedental.com. A printed version of the Terms and of any notice given in electronic form shall be admissible in judicial or administrative proceedings based on or relate to the Terms to the same extent and subject to the same conditions as other business documents and records originally generating and maintained in printed form. fromhomedental.com welcomes your comments regarding this Agreement. If you have questions about this Agreement please contact us. I, the customer hereby agrees that, during the Sales Period or Thereafter, neither I nor any of my Affiliates will not, directly or indirectly, in any capacity or manner, make, express, transmit, speak, write, verbalize or otherwise communicate in any way (or cause, further, assist, solicit, encourage, support or participate in any of the foregoing), any remark, comment, message, information, declaration, communication or other statements of any kind, whether verbal, in writing, electronically transferred or otherwise, that might reasonably be construed to be derogatory or critical of, or negative toward the website, any Investor or any of its agents or representatives (collectively, the “Investor Representatives”), or that reveals, discloses, incorporates, is based upon, discusses, includes or otherwise involves any confidential or proprietary information or any Investor or its subsidiaries or Affiliates, or to malign, harm, disparage, defame or damage the reputation or good name of the website, any Investor or Investor Representatives. I understand, that if any of these acts take place, then I, the customer, can be prosecuted in a court of law and will pay any and all attorneys fees and court costs. Our Shipping Process is as follows: A. When you place your order before 2:00 PM CST, Monday through Friday, you will receive a tracking number that business day and your order will be shipped. If your order is placed after 2:00 PM CST, Monday through Friday, you will receive your tracking number and your order will be shipped the following business day. We use USPS Priority Mail so you should receive your package within 2-3 business days. Occasionally, the schedule can be impacted by inclement weather and postal holidays. B. When you ship us your teeth impressions in our postage-paid envelope we will receive it in 3-5 business days. We will send you an e-mail confirming that we received your package once your impressions have been approved/rejected, which usually takes 1-2 days after receipt of the package. C. Your teeth device will take between 12-15 business days to be manufactured, just as it does when you purchase a teeth device from a dentist. D. We will ship your teeth device back to you using USPS Priority Mail which will take between 2-3 business days to reach you. E. We will e-mail you the tracking number the day that it is mailed back to you. 1. Scenario: Customer places an order and cancels their order before the teeth impression kit has been shipped. Refund: The customer will receive a 100% refund of the total price they paid for the order, minus a $20 cancel fee. 2. Scenario: The impression kit has been shipped. 3. The Teeth Impression Kit is non-reusable and non-refundable once it has been shipped. No returns will be accepted or refunded. 4. All sales are final after 180 days from the date the order was placed. You have 30 days from the receipt of your completed device to request a one-time free adjustment or a one-time free remake. If we have not received the device within 60 days from the time the you received it, the warranty is null and void. We do not remake teeth devices for incorrect teeth shade or detailed modifications that are outside our basic style of manufactured products. The lab manufactures the teeth device according to the size and shape of your mouth and teeth. Therefore, the device may vary slightly from the photo pictured on the website. In the event that From Home Dental must retain a collection agency or law firm to collect past due balances owed to From Home Dental, you agree to pay any and all collection agency fees, court costs, attorney fees or incidental costs associated with collecting.